It’s coming right up! 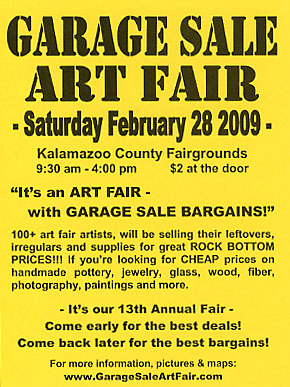 The Garage Sale Art Fair is this Saturday at the Kalamazoo County Fairgrounds. I’ll be there with hundreds of matted prints, price to sell. Come on by!